What is the FRAME Shop? The FRAME Shop is equipped with a series of 3D printers. Teen learn how to download and modify projects available online, as well as creating designs from scratch using a combination of cloud-based and open-source software. As these program tools are free to the students, the skills they acquire are accessible to them outside of the FRAME Shop as well. 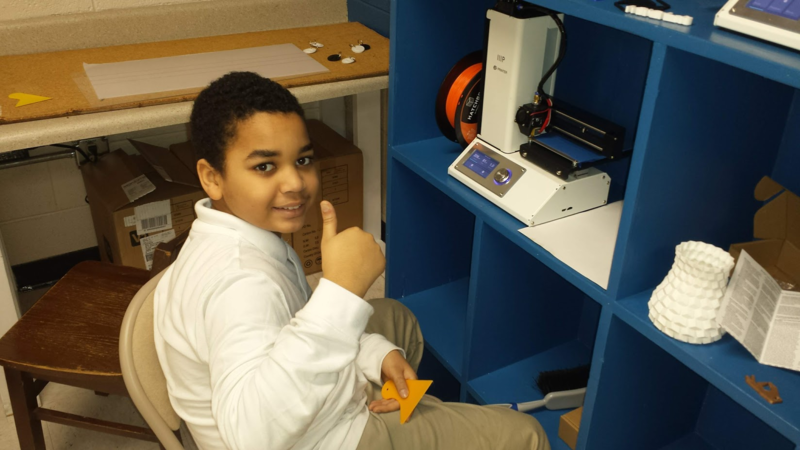 3D printing offers an instant method of creating prototypes for ideas. In addition to making decorative items, the students are encouraged to find ways to create things that solve every day problems. 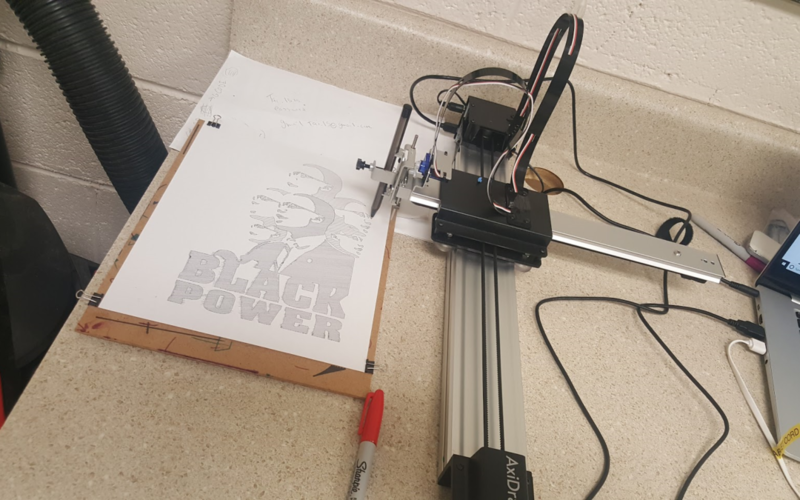 The AxiDraw is a great way to show the students how a computer draws using x and y coordinates. Graphics must be converted in a free program called Inkscape into vector images that plot the picture using x and y cooridnates. Then, the image can be sent to the AxiDraw to watch the computer scetch it out. Inkscape is an open source program that has been installed on all of the computers at the FRAME Shop. The skills students are learning using Inkscape can be used for many commercial applications, including logo art. 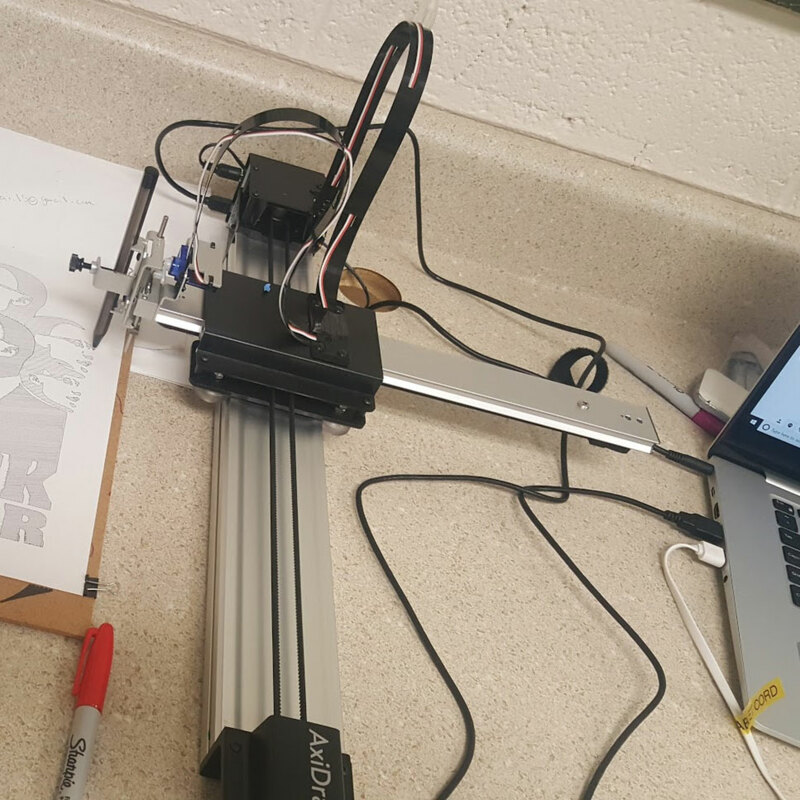 Since this program is open source, the students can potentially download it for free onto their personal computers and utilize what they have learned outside of the MakerSpace. Many professionals use Inkscape or similar programs each day, so the skills they are learning can translate into future careers. The Cricut Maker will cut vinyl, vinyl stickers, cloth, thin plastic, and more. 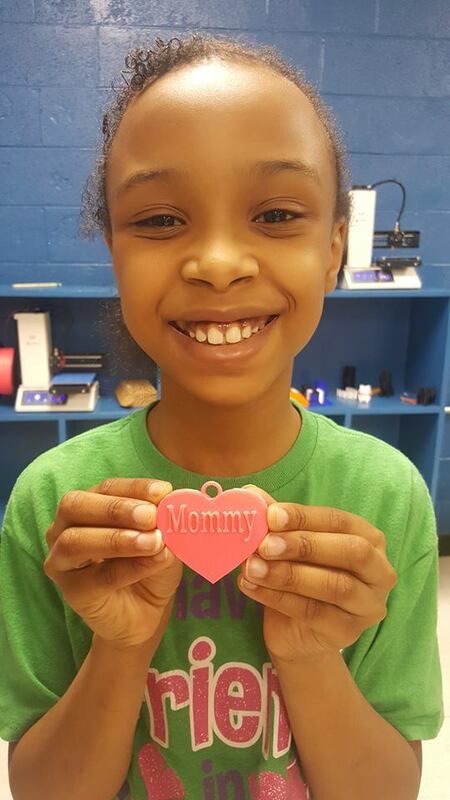 Students can create designs using graphic software and then upload their original designs into Cricut to create their shapes. 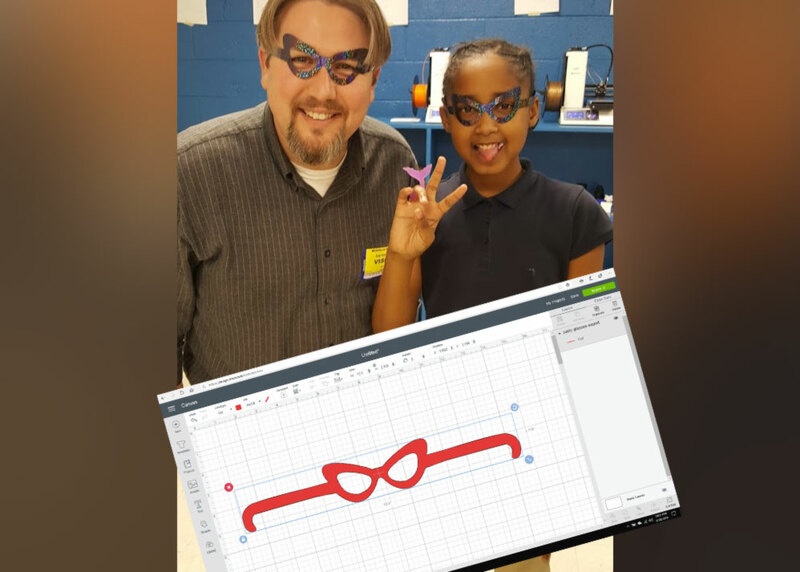 In the project pictured here, we made a set of “party glasses.” Skills with Cricut can also translate into future entrepreneurial opportunities for the teens as they become proficient. Vinyl monogramming and cloth products, such as teeshirts and handbags enhanced with heat transfer vinyl graphics, are very trendy and often sold at craft shows. The space is ready. The FRAME Shop is teeming opportunity. We are bringing out the creative potential of the Boys & Girls Club members who participate, one teen at a time.